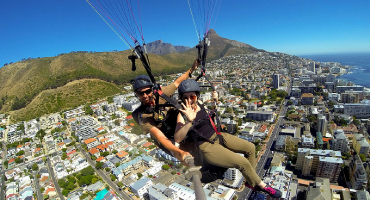 Take a risk and jump out of a Cessna, free fall while viewing table mountain and the city. Of course you are accompanied by a professional. 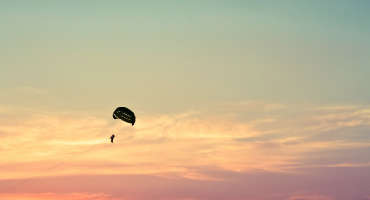 `Drop Zone´ is about 30 minutes away from the Centre, this adventure will be memorable – you can take that for granted! If you listen to the weather forecast and it says northwest or west wind velocity 10-18mph, it’s a hint. Go to Signal Hill or Lions Head. Perfect conditions for a tandem-paraglide-adventure. This might be the most relaxing and as well most spectacular way to see Cape Town in bird´s eye within 10-30 minutes. Best you can choose is a sunset slight – and a cold beer in Harveys Bar at Seapoint promenade after touch down. 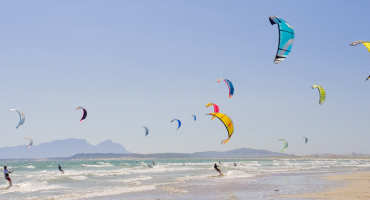 Is there any better place for kitesurfing? 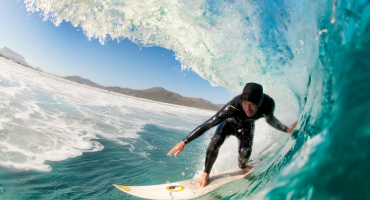 You just want to test yourself in this adrenalin sport? For sure we have enough wind – that is nothing to worry about. You can book a beginner´s course with your private teacher for 2.200ZAR (appr. 150€). Cape Town skyline is for free on top. Streets around Cape Town are made for a ride. It is by far more than the most exciting road `Chapmans Peak´. 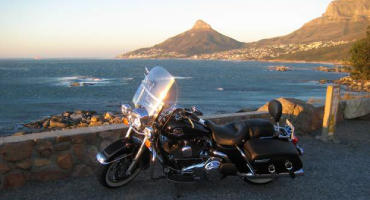 If you want to ride a motorbike, a Harley could be your first choice. You can rent it right around the corner from THE GREY. What about a `Heritage Softtail´? Rental per day: 1.600 ZAR, appr. 110€.